User generated content continues to spread into all types of marketing and digital campaigns. As we've explored in this blog before, user generated content ( or UGC ) is a simple and effective way for marketers and brands to spread the excitement about their product and core values. By embedding call to actions ( CTA ) into UGC drives your visitors, readers, and customers to desired pages and actions. If done right, these types of call to actions are considered less intrusive and can be more effective in converting customers. A custom call to action is a specific action embedded or interspersed in between user generated content. In many ways, you would consider these as ads that you'd see when looking at a Facebook or Twitter feed. However, when done properly, they can in fact be useful and viewed positively by your readers rather than as an annoyance. In properly curated social feeds, the UGC will target and be hyper focused on a certain topic or group of people. In this case, you know these visitors to your page are interested and looking for more information about a certain topic or product. Visitors who stumble onto this page because of the great UGC content and imagery may be pleasantly surprised that a program exists that would enable them to experience similar perks and benefits. An annotated call to action embeds more information and specific buttons or links within user generated content. 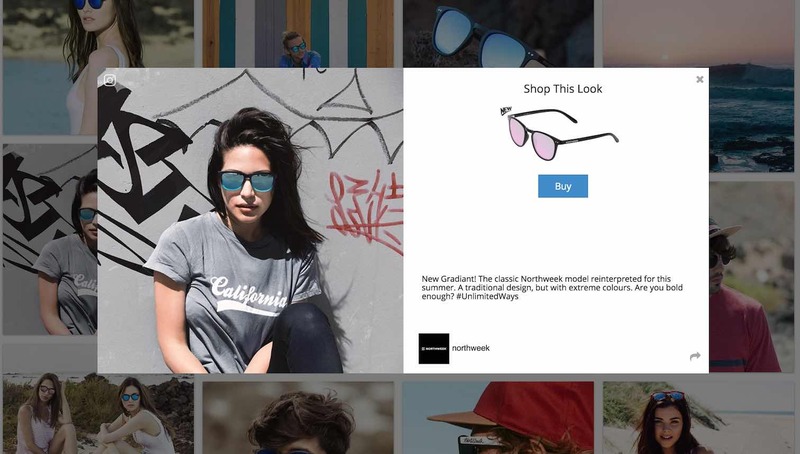 These are quite effective and used predominantly by fashion or product brands that want to direct a user that's enamored by a particular UGC into the purchase page of that specific product. It's the essence of effective advertising to guide a potential customer from discovery to purchase. 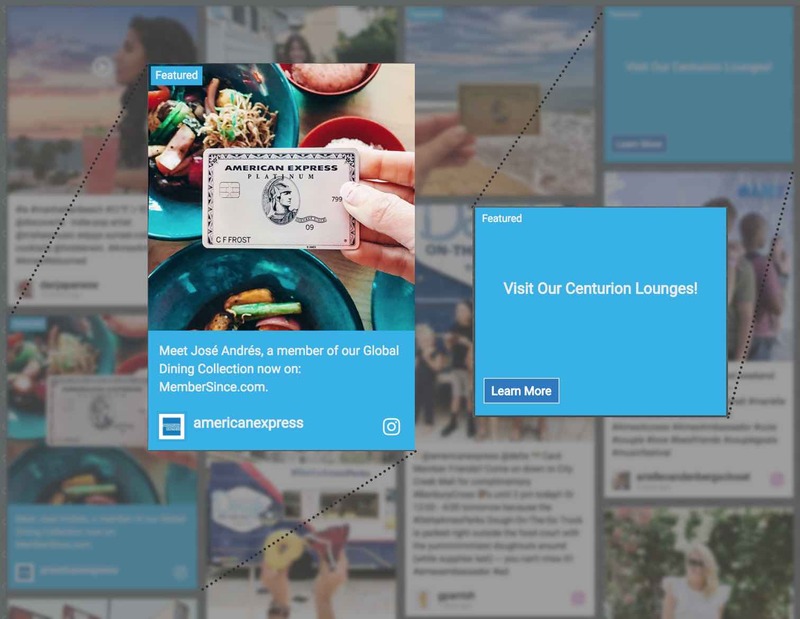 Convert a user that's discovered your gallery of UGC into a new customer with relevant, hyper focused guidance. This type of call to action can be a bit more time consuming to implement as it requires a direct linking of specific UGC to the product pages of each product that appears in the UGC. However, with the proper time investment and tool, it can be a very effective way of turning your UGC gallery into a part of your sales strategy. Embedded links is another powerful tool to employ in your UGC gallery. An embedded link allows you to add an overlay link on top of an entire category of posts. We've seen this used very effectively in destination marketing websites. Typically, a destination marketer will have several categories of specific areas they want to highlight about their destination. These may include the local cuisine and restaurants, the outdoor sights, museums, landmarks, or wedding locales. Categorizing UGC into these types of buckets can produce many advantages, including the ability to add an embedded link to an entire category. As seen in the image above, Embedded Links appear directly on the image as the user hovers over the pictures. They can directly click the links taking them to a particular page or microsite that would further expand on that particular content. 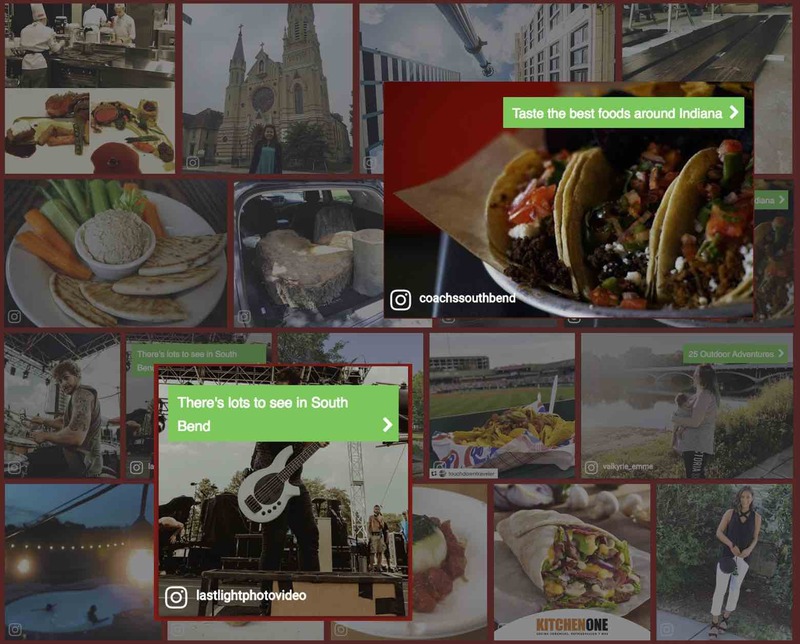 If it's a link touting the "Top 10 Outdoor Activities", you would add this to a category that you created to capture all the great authentic user generated content showing people enjoying outdoor activities in your destination. By embedding a link onto a category, it ensures that any new content that is tagged into that category will immediately carry the same Embedded Link when it appears in the gallery. An Embedded Link can be a very simple way to add call to actions to a group of photos. User generated content is a great way to create engaging galleries of authentic customers and users enjoying your product, promoting your core values and demonstrating their passion about your brand. When new readers discover these authentic voices through your UGC gallery or display, be sure to guide them into specific actions that will help them also enjoy your product. Just remember that UGC is meant to be authentic so don't be blatant or overly aggressive with the call to actions and sales pitch. You want to guide the gently guide the user through your product, not pound them in the head with it.